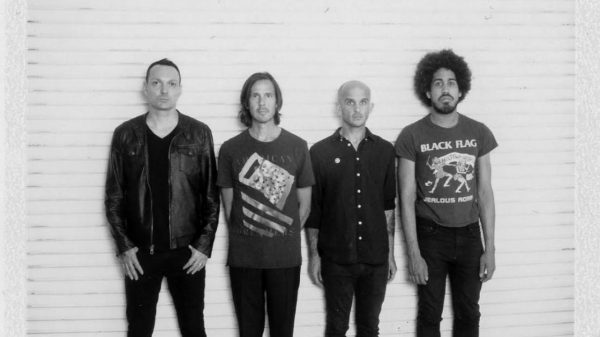 Punk supergroup VANISHING LIFE unveil their debut album by sharing a track from it. ‘Realist’ is the second single to be taken from Surveillance, following on from ‘Exile’, released earlier. The album was produced by Vanishing Life and SUEDEHEAD’s Davey Warsop at Hurley Studios in Costa Mesa over the course of 2015. It’s due for release through Dine Alone Records on 11 November and is available to pre-order here. Both singles are available for download from iTunes now. Vanishing Life were originally conceived for Groezrock 2013 and feature Walter Schreifels (QUICKSAND, GORILLA BISCUITS), Zach Blair (RISE AGAINST), Jamie Miller (BAD RELIGION, …AND YOU WILL KNOW US BY THE TRAIL OF DEAD) and Autry Fulbright (MIDNIGHT MASSES, …And You Will Know Us By The Trail of Dead). Band will be playing a series of US shows to accompany the release…. ‹ PARKINSONS FILM CLIP EXCLUSIVE!